Social Work (SW) at KLC covers a diversified area of clinical responsibility that reflects the complex nature of our students and the myriad of issues their families typically face. Their responsibilities go well beyond direct service to the student and include active support for and education of family members, as well as serving a liaison to the home school district and a variety of community-based providers. The first responsibility of SW is to develop a comprehensive understanding of every student’s social and emotional profile and the family context in which that profile is nurtured and developed. In a student’s early years, SW services are geared primarily to family support and include educating the parent about the roles and responsibilities of parenting a child with exceptional needs. 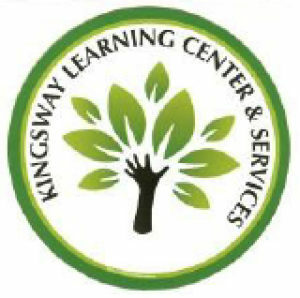 They provide insight into what the parent can reasonably expect from a private educational placement such as KLC, their public school district and the variety of community providers that are available to them. Where necessary, SW will assist the parent in enrolling in those public and private opportunities and help to ensure that they are accessing all available services. As students move through the program, the needs change, and generally there is more of a focus on the individual student. Counseling support is provided as necessary, especially during the adolescent and teen years, and instructional support groups are established to teach the wide variety of social skills that are necessary for family, social and workplace dynamics. Conflict resolution is also a part of the SW responsibility as there is oftentimes a need for an adult to teach appropriate peer interaction or in more difficult situations, mediate disagreements that occur. Parents are involved for more serious situations, and active support is provided in cases where outside clinical services are recommended. In a student’s later years, SW begins work on a variety of transition planning initiatives with the student, and a focus on the parent resumes as the entire team prepares for graduation. Our SW team takes a very person-centered approach in planning for transition and KLC enjoys a very positive reputation for being leaders in this field. Whether it is discussing guardianship options, managing a referral for the development of a special needs trust, applying for social security benefits or creating and implementing a person-centered transition plan that leads to a successful post-graduation vocational opportunity or adult program placement, our SW staff is highly qualified and effective in the delivery of these necessary services.